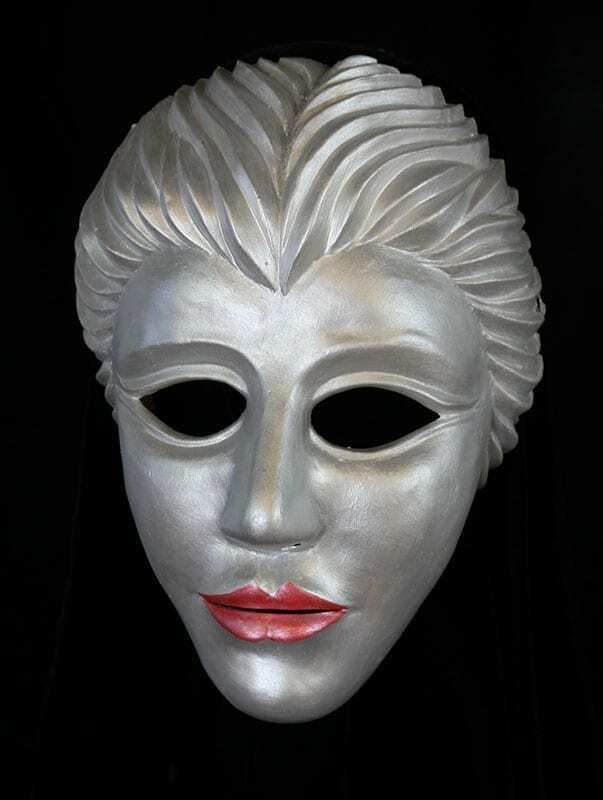 This sensual greek theater mask was created for a client in Thailand. Typically masks for greek theater are half to 3/4 masks that allow for speech. This beautiful woman remains forever silent in her conversation with the world. The paint treatment and the look of the mask make it perfect for Mardi Gras, costume balls and theatrical situations that require expressive form.